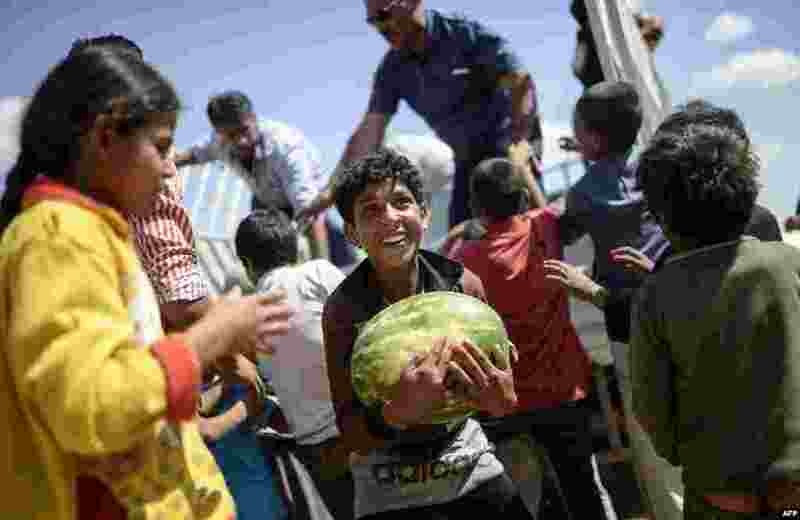 ٢ A Syrian boy holds a watermelon distibuted near the Akcakale crossing gate between Turkey and Syria at Akcakale in Sanliurfa province. 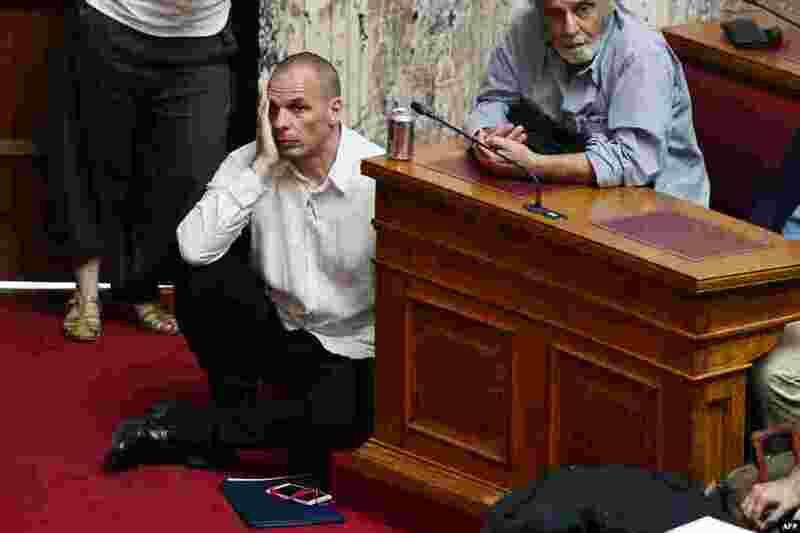 ٣ Greek Finance Minister Yianis Varoufakis (L) listens to Prime Minister Alexis Tsipras addressing at the Greek Parliament in Athens. 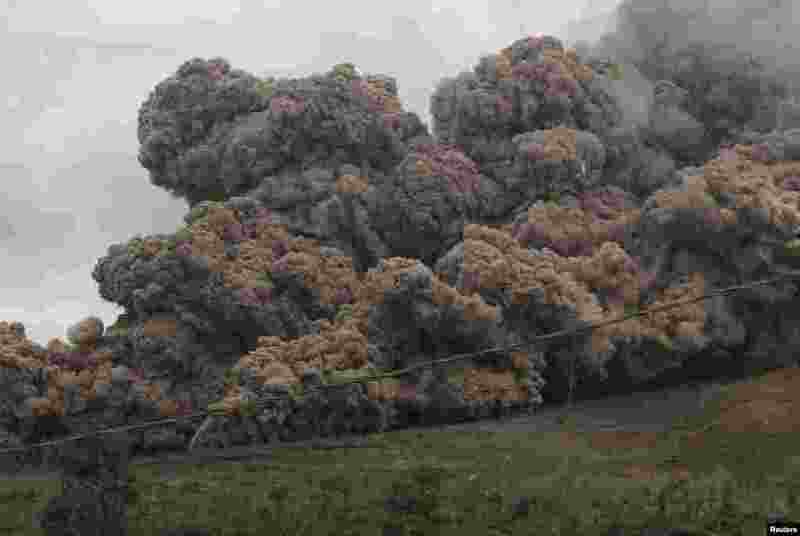 ٤ Volcanic ash spews from Mount Sinabung as it erupts, as seen from Sukanalu village, in Karo Regency, North Sumatra province, Indonesia.